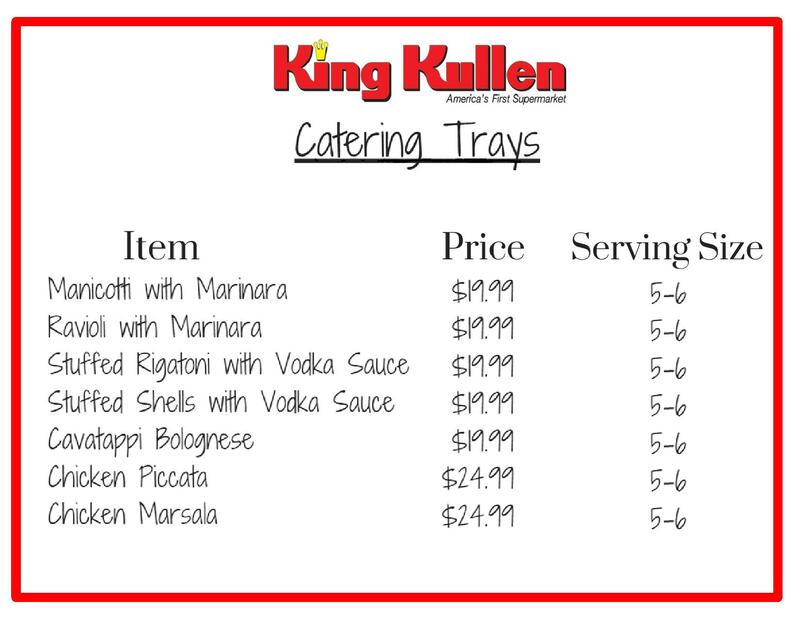 Let King Kullen’s Deli Catering department cater your next party or holiday dinner. Select a main dish from our catering trays or any one of our mini appetizers to keep your guests occupied before dinner is ready. Don’t forget we also offer a large selection of hero and sandwich salads as well as side dishes, salads and prepared foods.